That seems pretty obvious and clear, is it not? …. Or is it? This being the case, it should be admitted that even the United Nations declaration of the borders in 1948 do not line up anywhere near the borders described in places like Joshua 1:4. So, it might be more proper to say that the land promise was only partially fulfilled in 1948. However, is the common assumption that Israel has never really possessed the land, at any time in history, actually correct? Let us examine some more of Scripture to find out. Towards the end of the book of Joshua, after Joshua has completed the conquest of the Promised Land, many hundreds of years ago, we read a rather puzzling claim that challenges this common assumption. Furthermore, even the writer of the book of Hebrews, in the New Testament, acknowledges that the people of ancient Israel never fully entered the “rest” that is described here, by the end of Joshua’s conquest of Canaan (see Joshua 23:1). Amazingly, in Hebrews 3 and 4, we read such a “rest” was actually fulfilled by Jesus Christ himself, in his finished work at Calvary, for those who continue to believe in Him (Hebrews 4:3) . 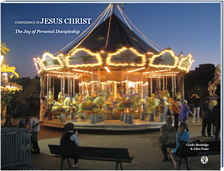 So, when we read Jesus saying, “Come to me, all who labor and are heavy laden, and I will give you rest (Matthew 11:28-30), it would appear that the New Testament is teaching that Christ Himself has truly fulfilled what was originally promised in the Abrahamic land covenant, albeit in a spiritual sense. To make matters more intriguing, it should be noted that even in Solomon’s day, that the extent of his kingdom did, in fact, go all of the way to the Euphrates River. And [Solomon] ruled over all the kings from the Euphrates to the land of the Philistines and to the border of Egypt (2 Chronicles 9:26). 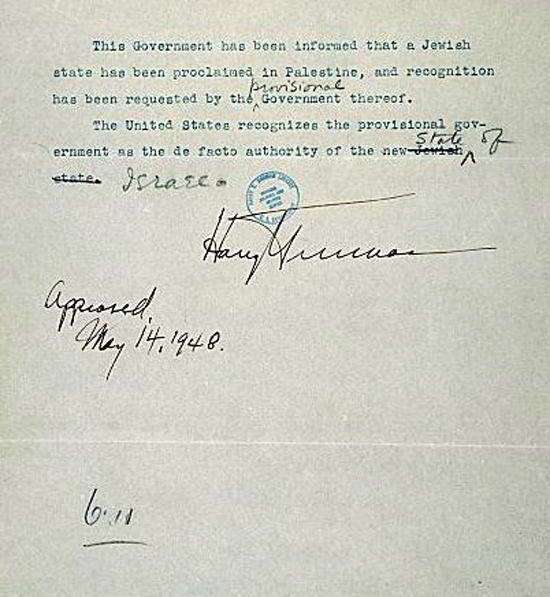 President Harry Truman’s letter, in 1948, recognizing Israel as a nation-state. I am not entirely sure what to make of all of this. Has the land promise been fulfilled in the past, or is it still yet future? Nevertheless, I do know, that since all of Scripture is God’s Word, that I must contend with it, even if it challenges some deeply held beliefs. If we do find that the Abrahamic covenant, in a physical sense, was indeed fulfilled in the Old Testament era, it would tie in much easier with the New Testament teaching in Hebrews, that the promise of rest, associated with the Abrahamic covenant, was spiritually fulfilled, in Christ. The point here is this: many people simply assume that the fulfillment of a literal, physical land promise is only a future thing, which is why dates like 1948 loom large in the minds of many Christians. 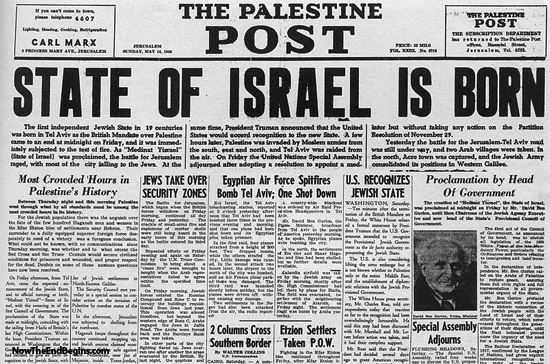 Even then, perhaps too much emphasis is put on 1948 as a fulfillment, when in fact, it could only be a partial one. We must consider the whole counsel of God on these matters, and not merely assume that adopting a few cherry picked verses are the only important ones. This entry was posted on Tuesday, October 2nd, 2018 at 6:00 pm	and tagged with church, Israel, zionism and posted in Topics. You can follow any responses to this entry through the RSS 2.0 feed.